Ihram white dress for men and rug prayer for women. Gateway from Canada: Flight and Time subject to change. Estimate departure from Canada 29 th of Thul Qi'dah (1st AUGUST 2019). -Arrival to Medina Airport on 1st of Zulhija (2nd of August 2019). Have your passport, vaccination, & bank draft in hands. Please be at the airport 4 hours prior to departure time. 300 meters away from the Prophet’s Mosque.You are going to stay for 3 nights / 4 days from 1 Thul Hijjah to 4th of Thul Hijjah (2nd of August until 5th of August 2019). -Daily praying in Prophet`s Mosque. Travel from Madinah to Makkah by bus on 4th of Thul Hijjah (5th of August 2019) at 11:00 AM. Check-in at Swiss AlMaqam Hotel,(Clock Tower building). It is about 1 min away from the Holy Mosque (Al Masjid Al-Haram). 24-hours front desk service and spacious guest rooms. Accommodation from 5th of August until 15th of August 2019 (4th of Thul Hijjah till 14th of Thul Hijjah) with air conditioner. The rooms have modern furnishing and a seating area with satellite TV each room. Includes a private bathroom. The rooms are going to be available from 5th of August until 15th August including during Manasik. -Ihram for Hajj : Leaving to Mina on Midnight of 7th of Thul Hijjah evening (8th of August 2019) where you will spend one night in the tents. Leave the rest of your luggage in your room. Arafat day is the most essential function of Hajj rituals. Every minute of your stay in Arafat is to be spent only for Tasbeeh and Zikr. Shortly before noon, stand under the open sky asking Allah Subhanahu Wa Ta’Ala for Forgiveness, Mercy and Blessing for yourself, your parents, your entire families and fellow Muslims. Ask Allah subhanahu wa ta'ala for the acceptance of your hajj. Breakfast and lunch will be served, as well as snacks, fruits and refreshments will be available all day around. -After sunset, buses will depart for Muzdalifah. Please note there are no tents and very limited facilities in Muzdalifah. Need your sleeping bags. -Eid Day 10 Thul Hijja (11th of August 2019) : In the early morning we will be going back to Mena, Inshaallah, where you will be staying for three nights. Hotel in Makkah is available till 14 Thul Hijjah (15th of August 2019). In Mena, you will perform Ramii (Aqabah), then Qurbani and Cut or Shave your hair. -Breakfast and dinner will be served. In addition, snacks, fruits and refreshments will be available at all times. Check-in Swiss Al Maqam Hotel (at Clock Tower Building) which is about 1 min away from the Holy Mosque (Al Masjid Al-Haram) for 2 nights. Check out will be on 15th of August 2019. It offers 24-hours front desk service and spacious guest rooms, with air conditioning. Free Wi-Fi is available in the lobby. The rooms have modern furnishings and a seating area with satellite TV each room. Includes a private bathroom. Breakfast & diner included. Check-in at Crown Town Hotel. It offers 24-hours front desk service and spacious guest rooms. with air conditioning. Free Wi-Fi is available in the lobby. -Transfer to Jeddah Airport by bus on 18th of august 2019 depending on flight time to take your flight back to Canada. 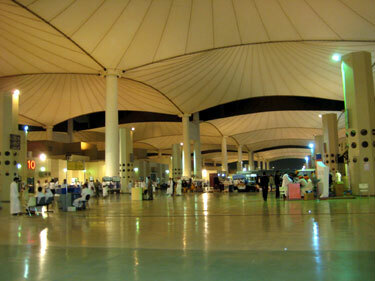 You need to be at Jeddah Airport 6 hours before departure. Luggages have to be ready 10 hours before departure.